Maribel Flores graduated from UT-Arlington with a degree in Public Relations and Advertising. She cares about women’s reproductive rights which pushed her to be active in the upcoming midterm elections. 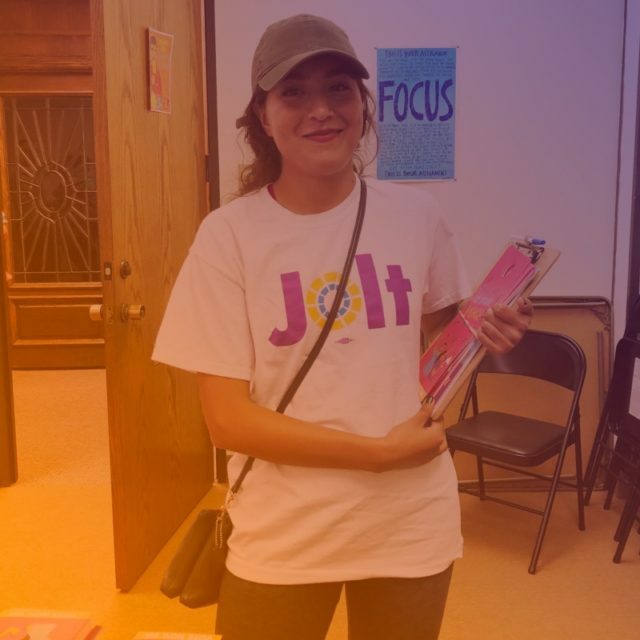 She joined the Jolt team as a canvasser to be able to get out in her community and talk to voters and make a difference. Flores hopes to network and gain experience canvassing for Jolt that she will be able to use for her next dream or working in public relations. “I’ve always been interested in seeing how political campaigns are run from the ground up, and while not advocating for a particular candidate [canvassing], it’s closely related as it involves getting people out to polls,” says Flores.  It is also important to Flores that Jolt serves to empower the Latino community in the Dallas area as a whole. “I just want to learn and grow,” says Maribel Flores. Flores is excited about her newest project working as a creative director for a friend’s t-shirt business. She will be in charge of the branding and social media marketing for the startup. She hopes that with her the experience she will gain canvassing for Jolt she will be able to grow her network while making a difference in her community. Garcia says he joined Jolt because he agrees with its platform and how the organization fights and mobilizes Latino youth in Texas. “My hope is to be able to convince people that were not thinking about voting and even aware of the elections to go out and exercise their [voting] rights,” says Garcia. 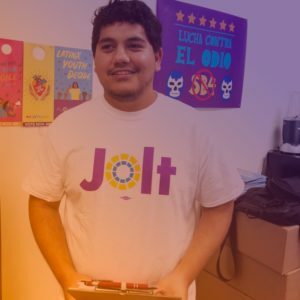 He is hopeful about his future and open to opportunities that will arise after he is done canvassing for Jolt. “I’m just going keep working hard and try to do good in life,” says Garcia.